A set of 6 x 6 mm square hardened steel dry pressing die set for pellet presses, ready for you to make 6 x 6 mm square pellets. A set of 13 x 13 mm square hardened steel dry pressing die set for pellet presses, ready for you to make 13 x 13 mm square pellets. Always wear protection goggles during operation. 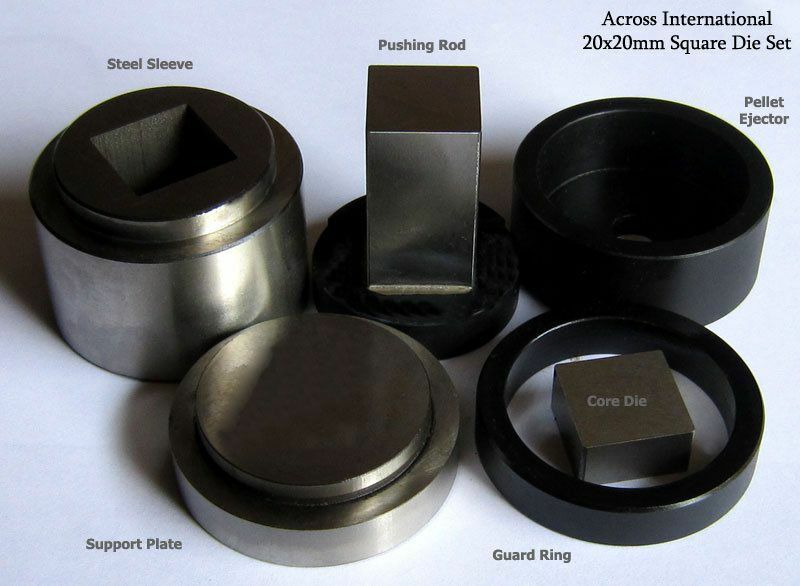 A set of 20 x 20 mm square hardened steel dry pressing die set for pellet presses, ready for you to make 20 x 20 mm square pellets. 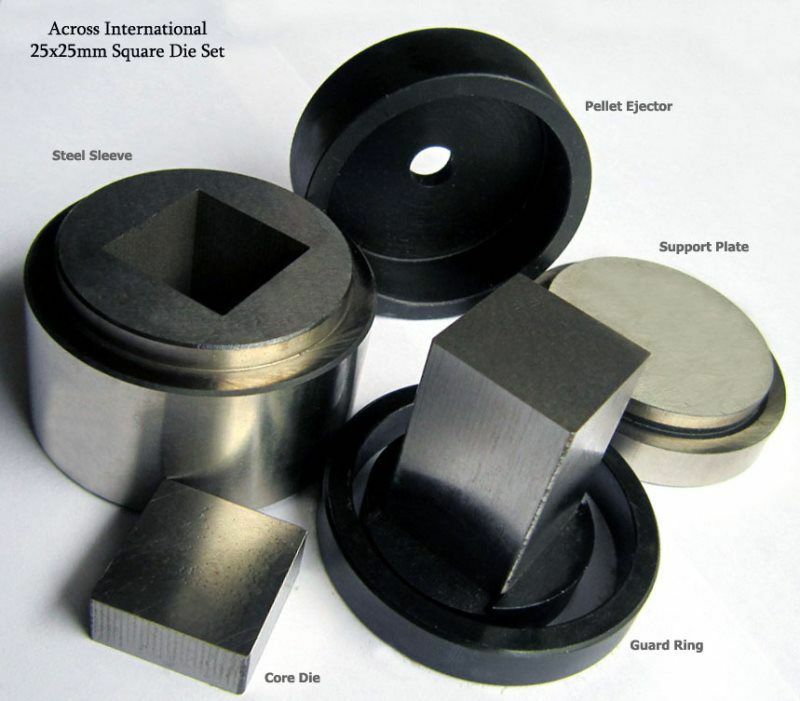 A set of 25 x 25 mm square hardened steel dry pressing die set for pellet presses, ready for you to make 25 x 25 mm square pellets. 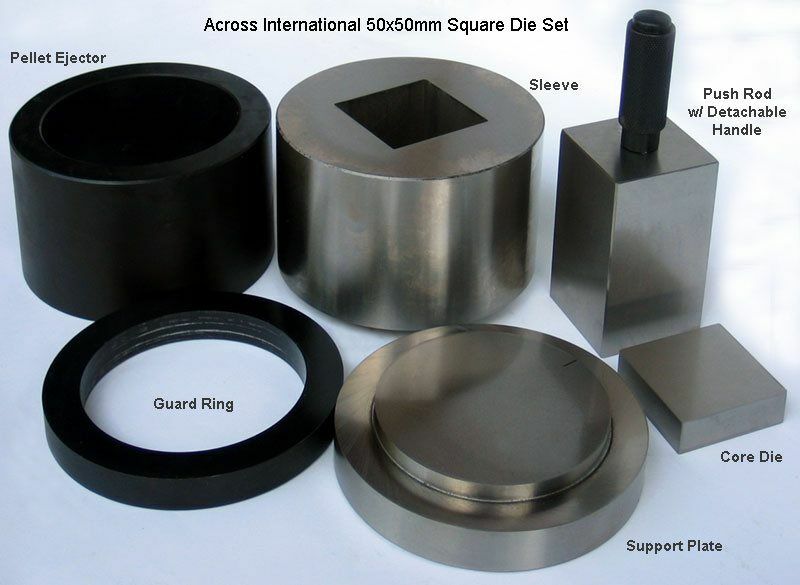 A set of 50 x 50 mm square hardened steel dry pressing die set for pellet presses, ready for you to make 50 x 50 mm square pellets.